I recently returned from World Youth Day in Panama and must tell you I was so captivated by the young people who spoke of the mysterious way the miracle of God continues to form humanity. At our booth, we celebrated Blessed Moreau for teaching, Saint Andre for healing, Venerable Peyton for praying, and Archbishop McGrath for leadership; four of Holy Cross’s great forefathers. In our own families, we would not be where we are today without the sacrifices and faith of our forefathers. We would not be able to help those in our families from their fears, resentments, hurts, betrayals, hatred, anger, illnesses, poverty, and addictions. The man in today’s gospel received a miracle and was restored to his family. A miracle can happen in your home today, so come to Jesus and share your experiences with your family. Do we continue with gratitude and announce the good works of others before us? Let us pray in gratitude today; for the light our forefathers have lead the way with. 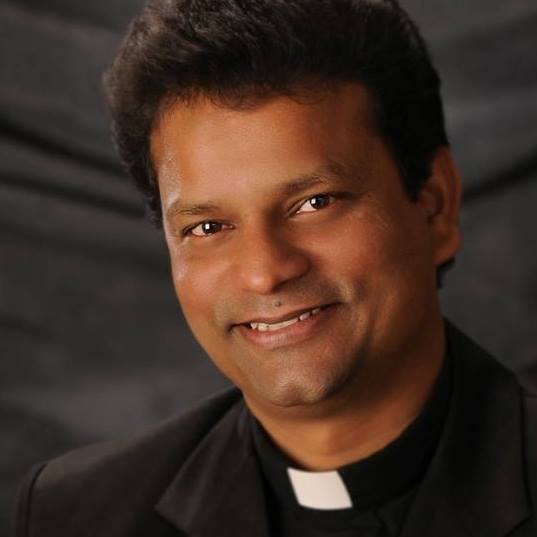 About Father Pinto Paul, C.S.C.